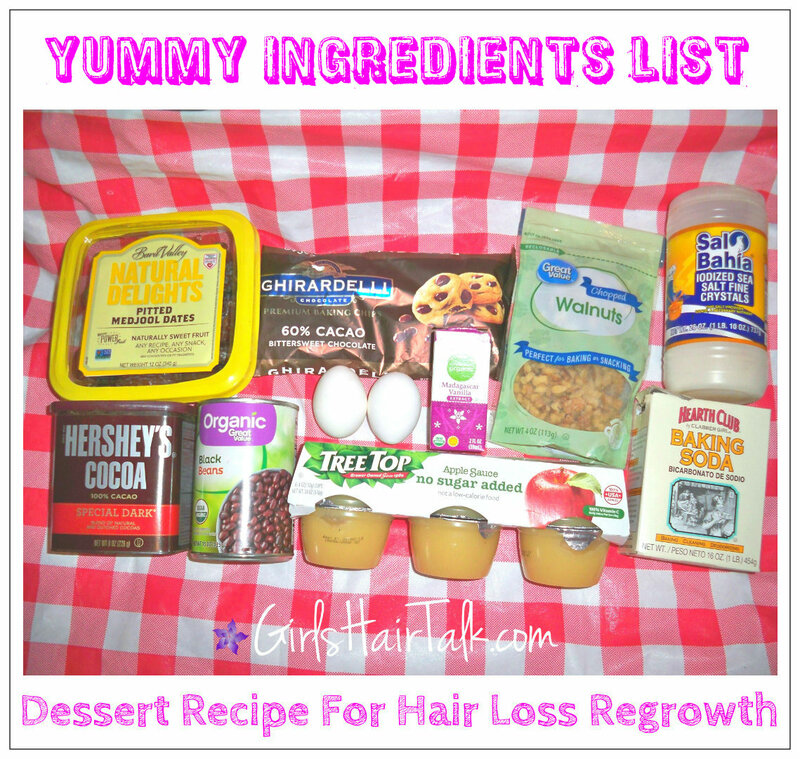 This dessert recipe for hair loss and thinning hair is a healthy treat that is good for you! We all want a special treat every now and then, at least I know I do. So why not make it a healthy, yummy treat. 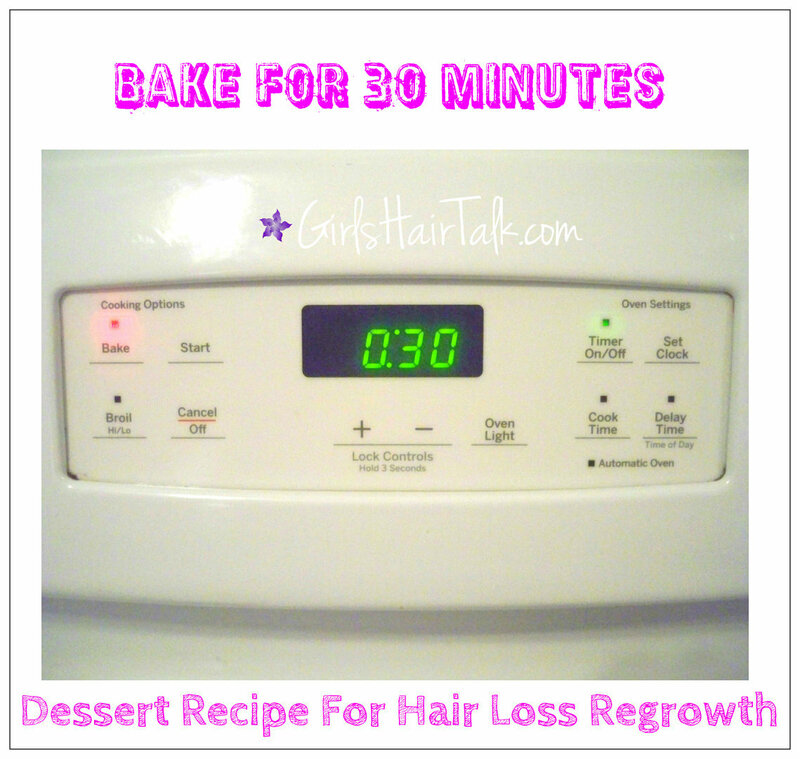 I wanted to give you a healthy treat that will help promote healthy hair regrowth. So I taste tested a brownie recipe that I was working on and it came out so delightfully delicious that I just had to share the recipe with all of my readers too! Speaking of sharing if you enjoy this recipe please share this page and site please, doing so lets me know that you enjoy the content of this website. Thank you for all of your support of this site. So back to the recipe. 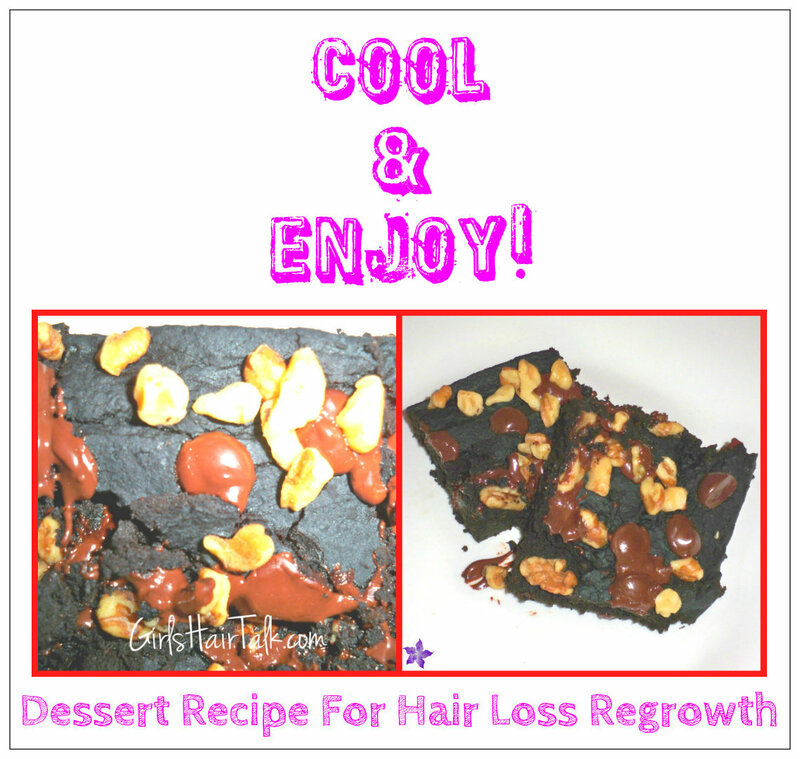 I know you are probably wondering how can fudge brownies be healthy and promote hair regrowth? Well, to answer your question it has everything to do with the ingredients inside of the brownies. 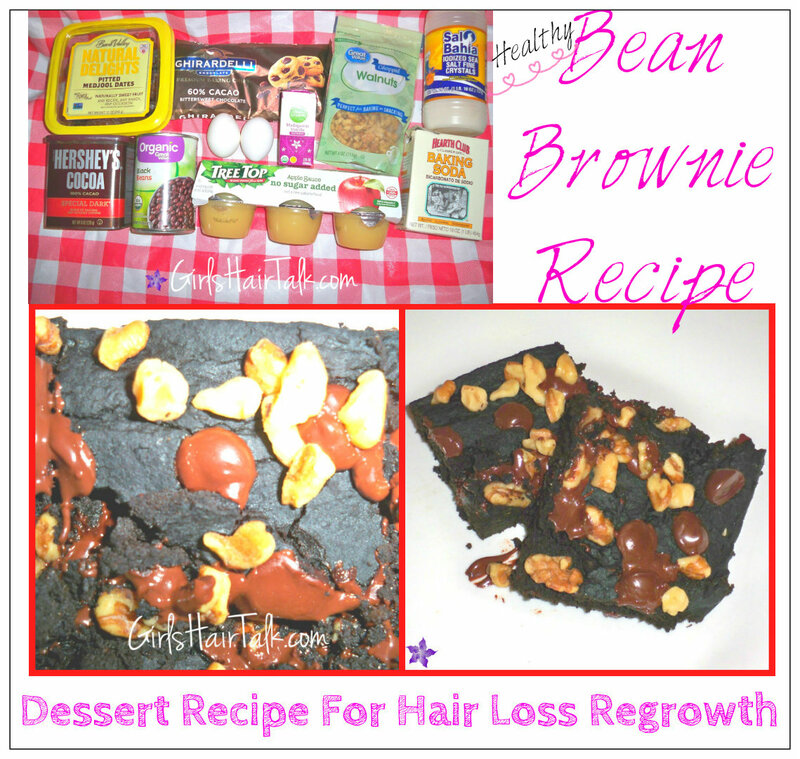 The hair regrowth health benefits of ingredients are listed below as well as the recipe and directions of this yummy brownie recipe! First Preheat your oven to 350° degrees F.
Add all of the ingredients, except for the dark chocolate chips and walnuts to a strong blender and blend until you get a smooth mixture. 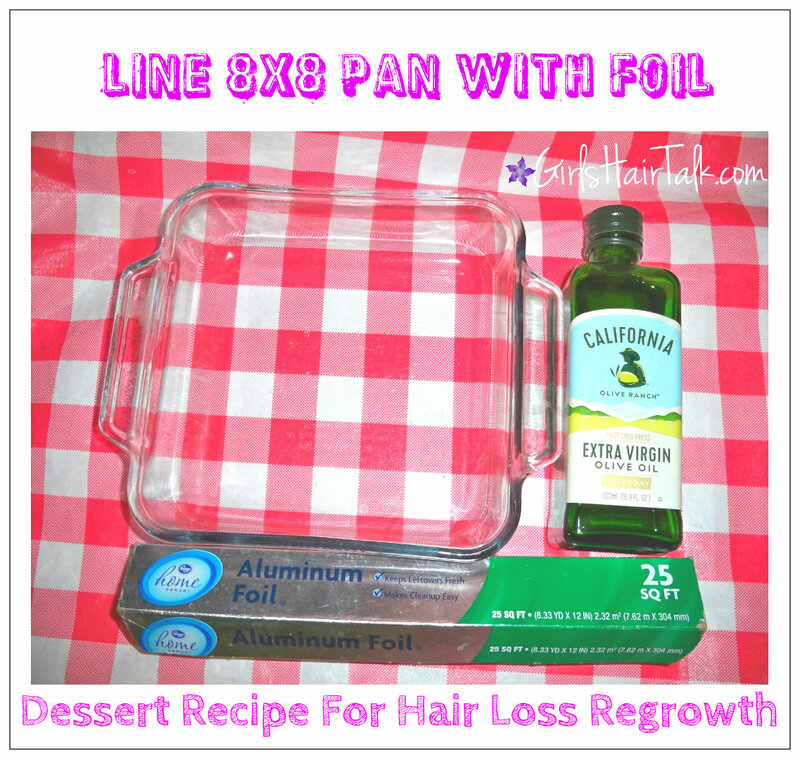 Then line an 8 x 8 square pan baking dish with unbleached parchment paper or aluminum foil. Then apply olive oil on it to help keep the brownies from sticking when it's time to take them out of the pan. Now just pour the brownie batter into your prepared baking pan and sprinkle with dark chocolate chips and walnuts on top, and bake for 30 minutes. 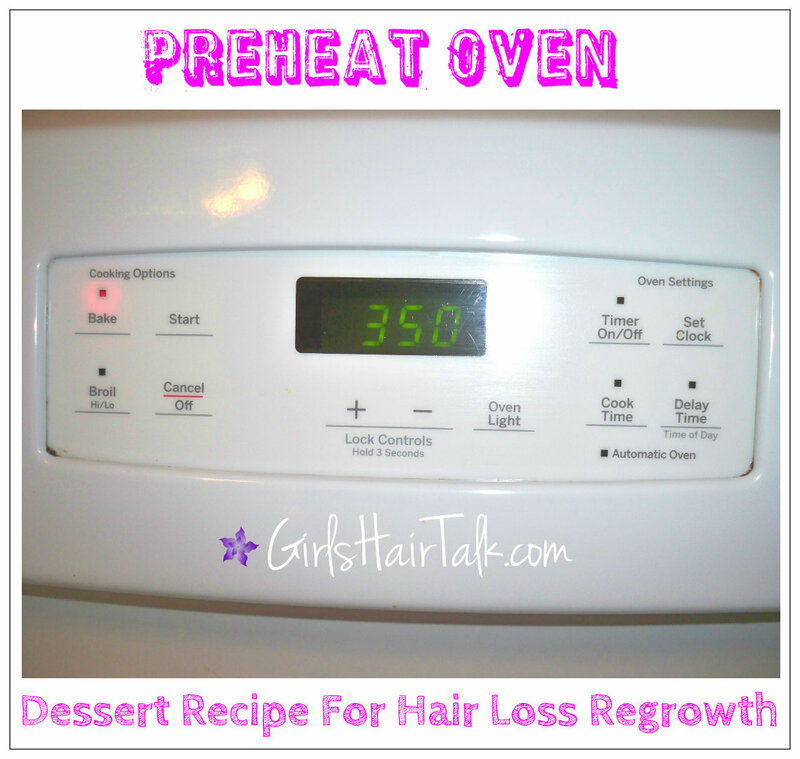 Remove from the oven and let brownies cool completely. Cut out 16 brownie squares. You can store these yummy brownies in an airtight container and refrigerate for up to five days or freeze brownies for up to three months! 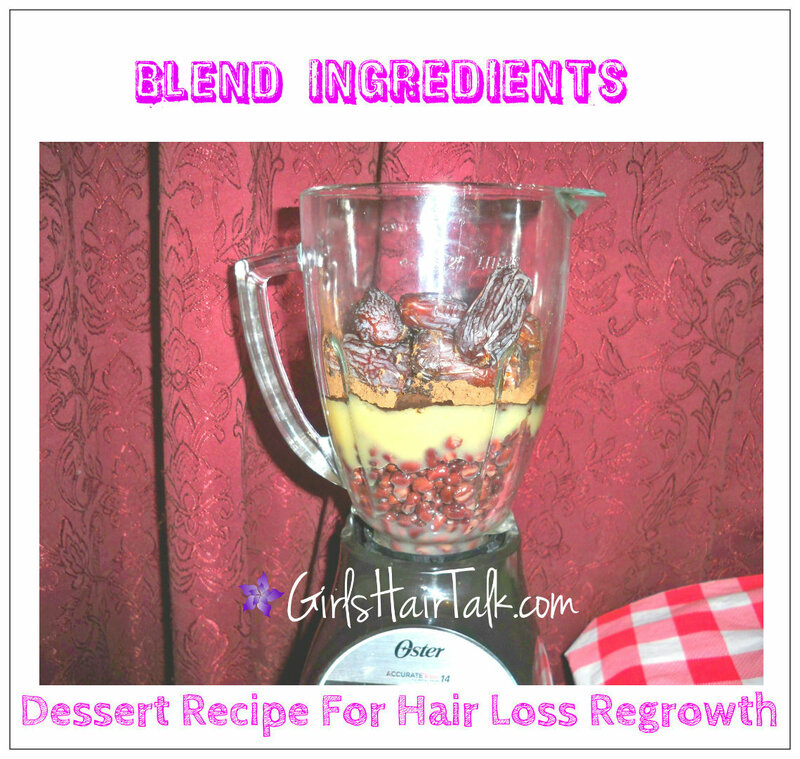 Beans are extremely helpful in hair follicle regrowth due to the protein packed in the beans. 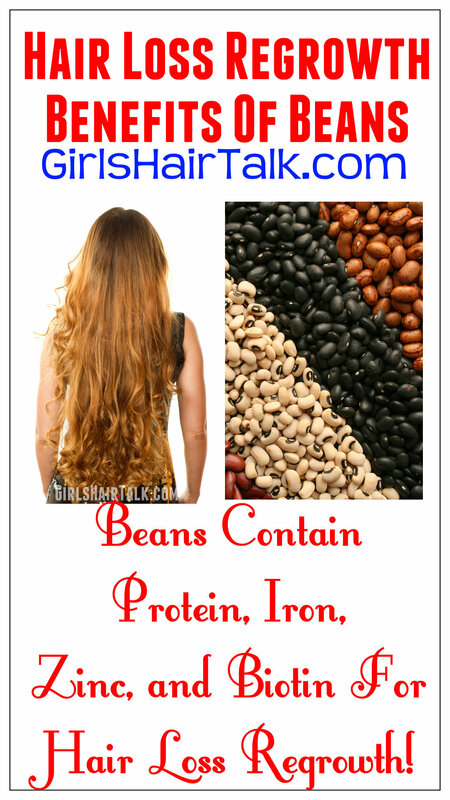 Beans are also a great source of zinc, iron and biotin which are also important vitamins and minerals to get healthy hair regrowth. 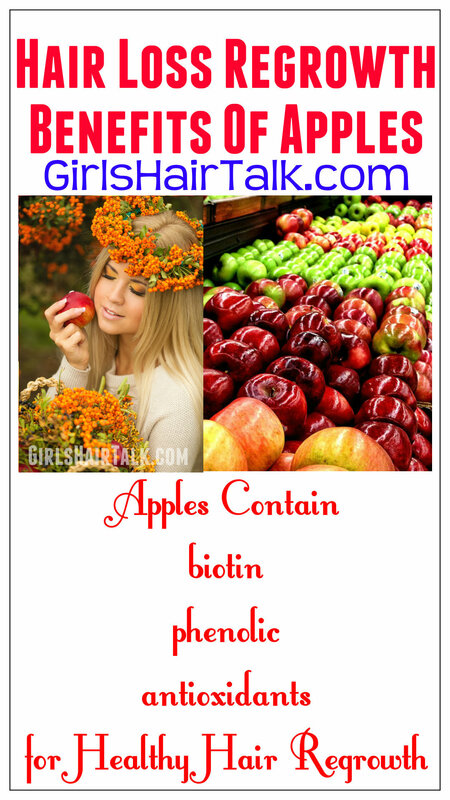 Apples contain biotin in it which is great for speeding up hair regrowth to thinning hair loss. Apples also contain an important fiber called phenolic which helps prevent hair fall when eaten daily. Also the antioxidants in apples helps to promote better blood circulation to the scalp which in turn helps promote faster hair regrowth. Eggs contain small amounts of almost every vitamin and mineral required by the human body, including calcium, iron, potassium, zinc, manganese, vitamin E, folate and many more. 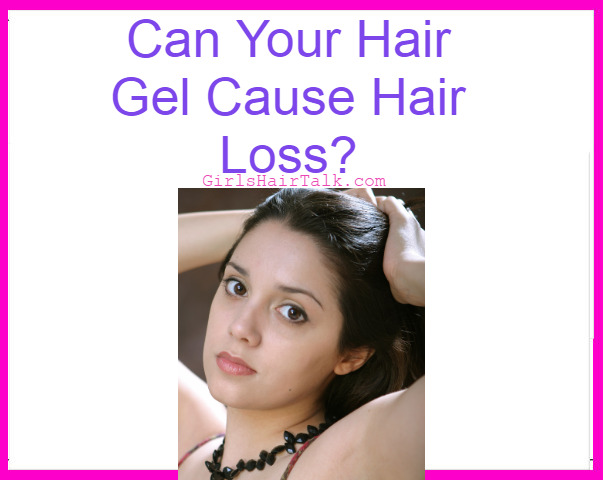 Eggs are definitely considered great hair food for hair loss and thinning hair! 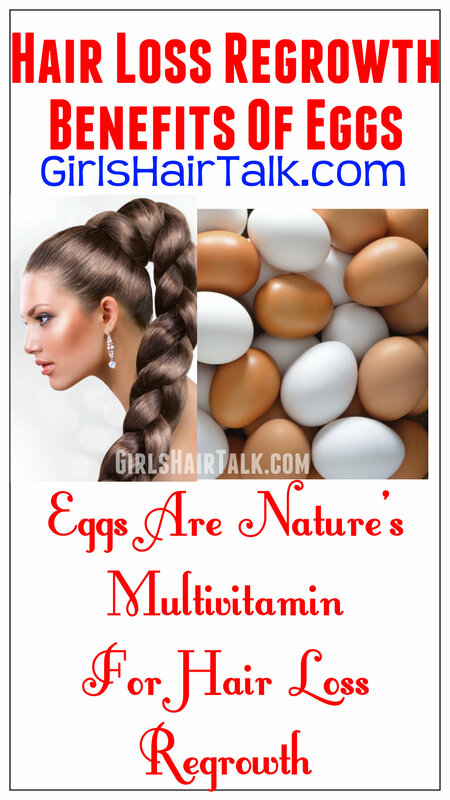 The nutrients of eggs help promote a boost of stronger hair growth helping to give your hair healthier hair regrowth and even shinier hair. 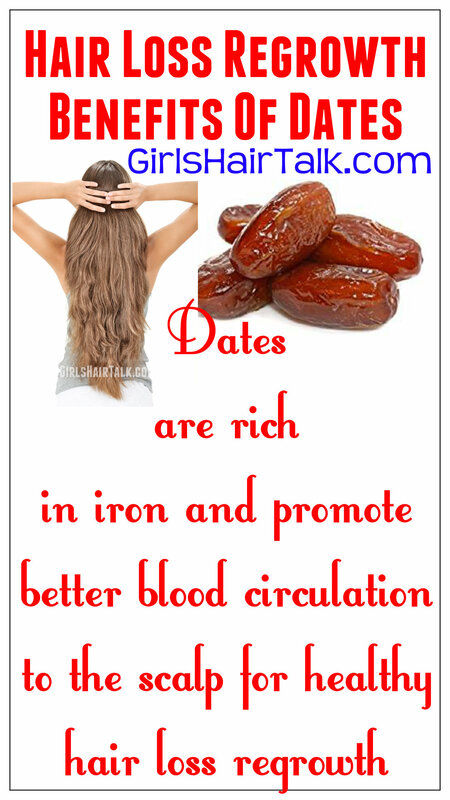 Dates are rich in iron and promote better blood circulation to your scalp, both of these attributes are very helpful in stimulating new and healthier hair growth. 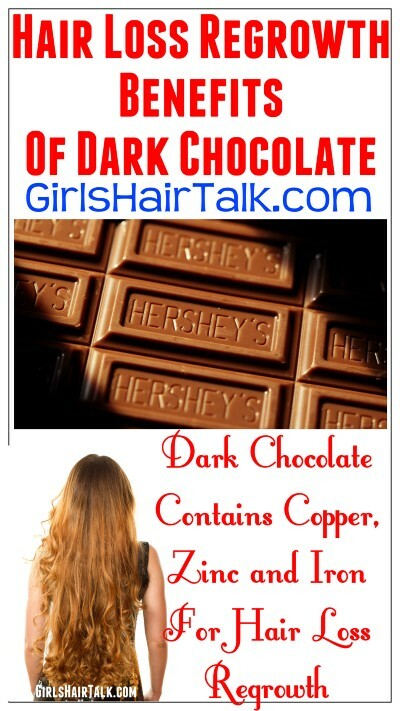 Yes, yummy dark chocolate is on the list of healthy hair growth treats! Dark chocolate provides healthy nourishment to your hair giving it copper, zinc and iron helping to promote healthy cell renewal to help get healthy hair regrowth. Dark chocolate also promotes oxygen and blood flow circulation to your scalp which promotes healthy and speedy hair regrowth. 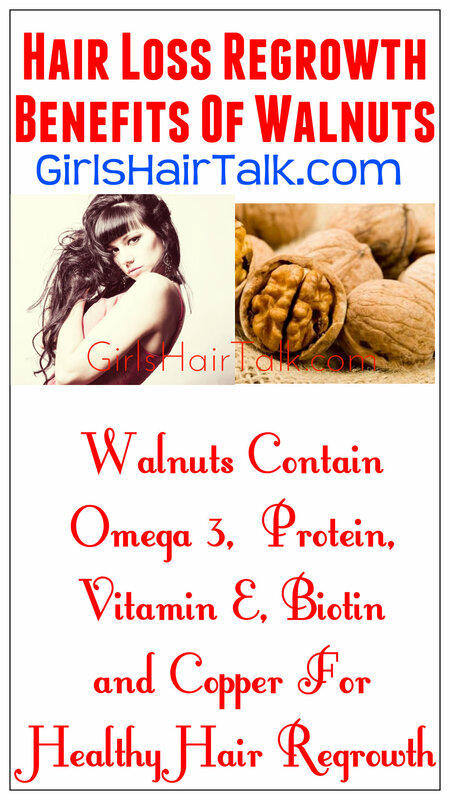 Walnut are a great source of hair regrowth due to their vitamins and minerals. 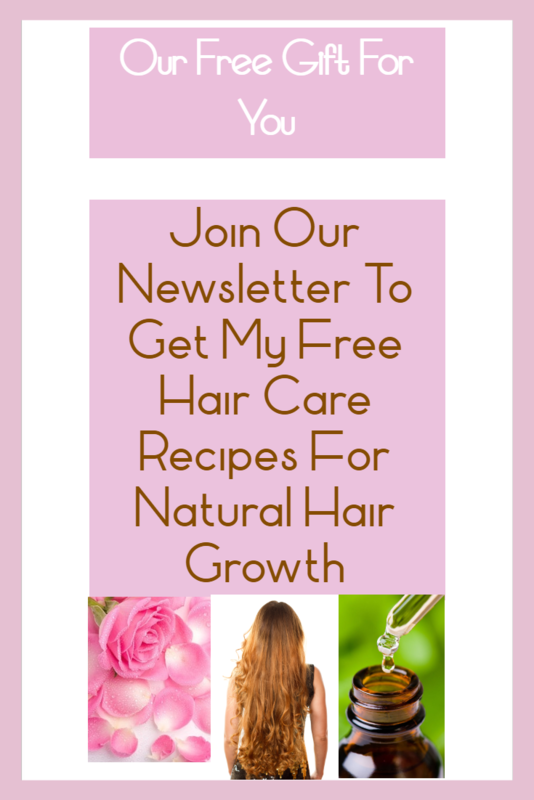 Walnuts are considered the very best out of all of the other nuts for hair regrowth nourishment. 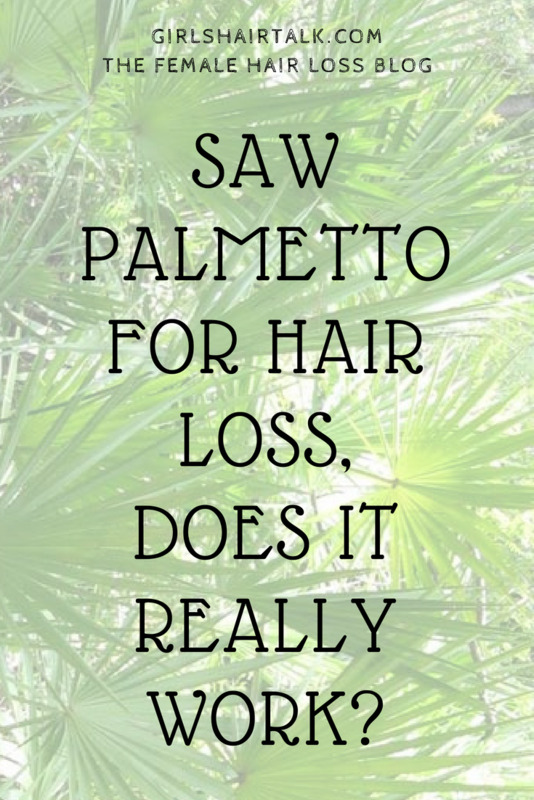 This is because they contain a blend of omega 3 fatty acids, protein, vitamin E, biotin and copper, which help promote hair regrowth as well as protects hair against the harmful rays of the sun by acting as a sun protecting shield. 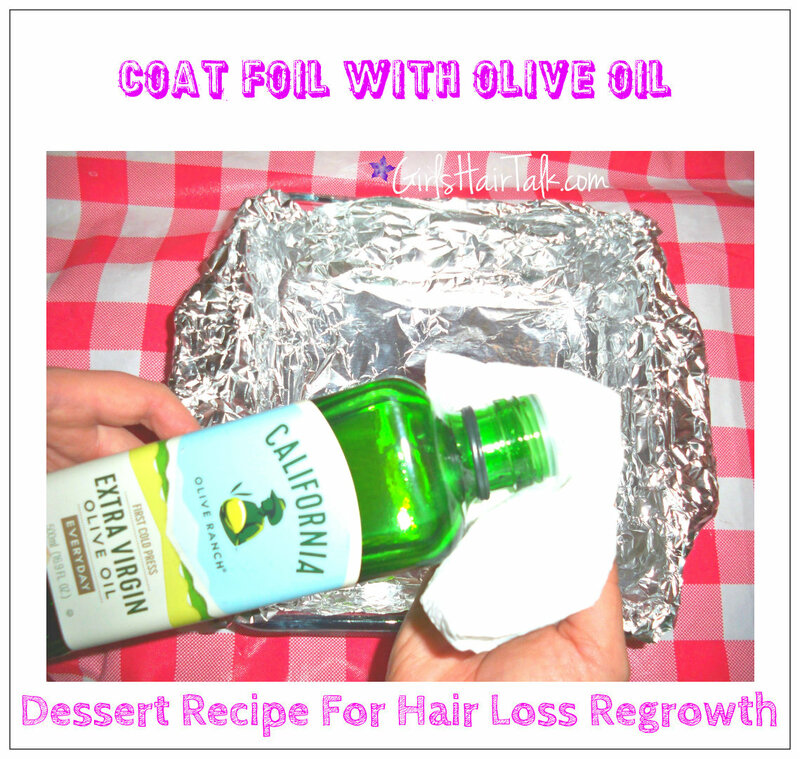 I am hoping that this recipe is fun for you to at least try! I could not taste anything or smell anything else except dark chocolate! I couldn't taste the beans or smell any beans or the other ingredients in the brownies. I gave the final product to my family members to taste and they had no idea what was in it and thought the finished product was good! My brother said " I would buy it, It's goooood, I like it, it's moist and not too sweet. It is good quality." My mother said " It's moist, not too sweet, it's perfect! " I say " It tastes like a fancy, luxurious treat! It's hard to remember that it's healthy for you, it tastes like you are eating something that is bad for you because it tastes so good!." We all agreed it is very chocolaty, so if you enjoy chocolate this is a chocolate lover's dream! All-in-all it was a big hit at my house! 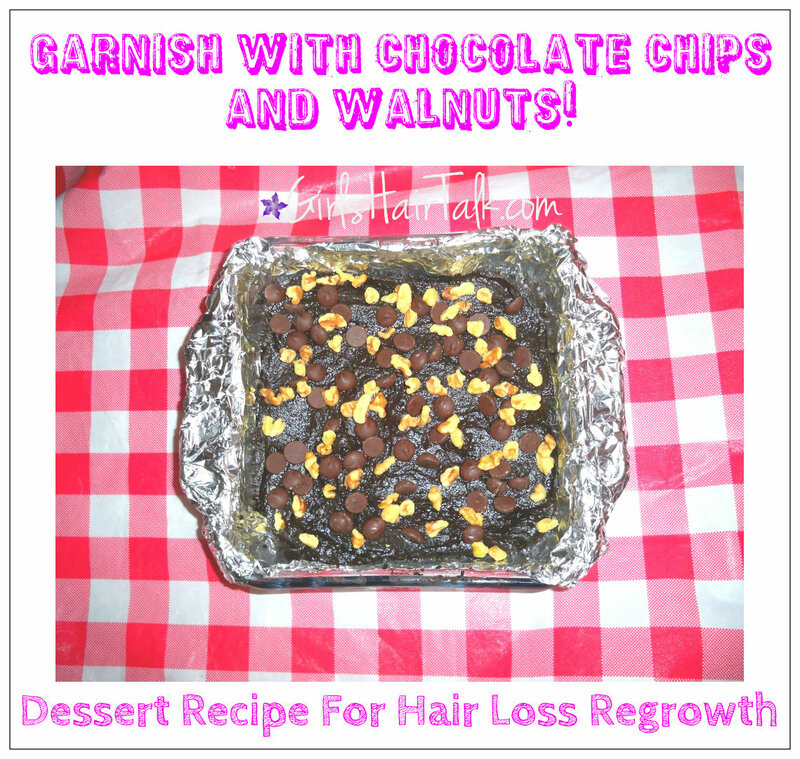 Also to prove how healthy it is, I should tell you that this brownie recipe for hair loss regrowth is weight watchers friendly! If you cut this recipe into 16 square pieces, each piece equals only 4 weight watchers smart points!